A wonderful, healthy breakfast or brunch can be centered around an omelette filled with a wide variety of veggies, meat, and cheese. This page contains omelette recipes. 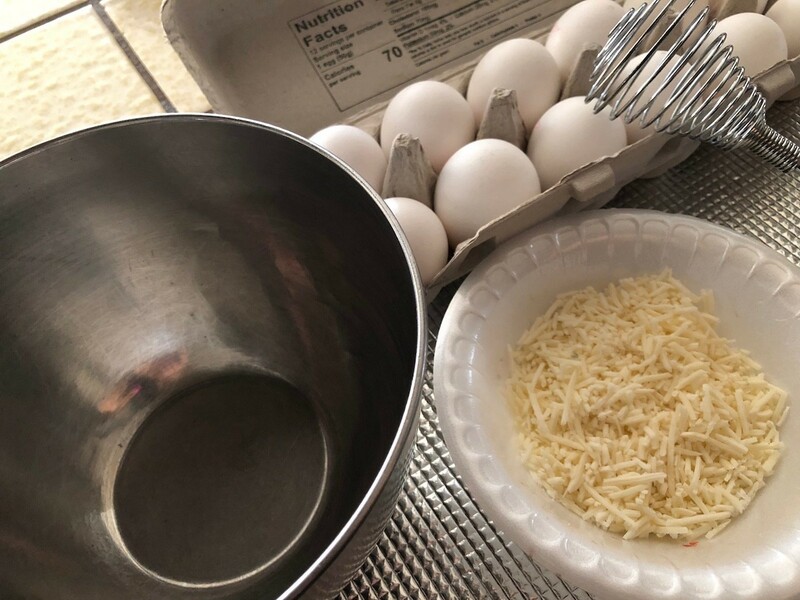 Here's a way to make an impressive cheese souffle omelette without the use of an oven, using only a couple ingredients. It's a light and delicious way to start your day! 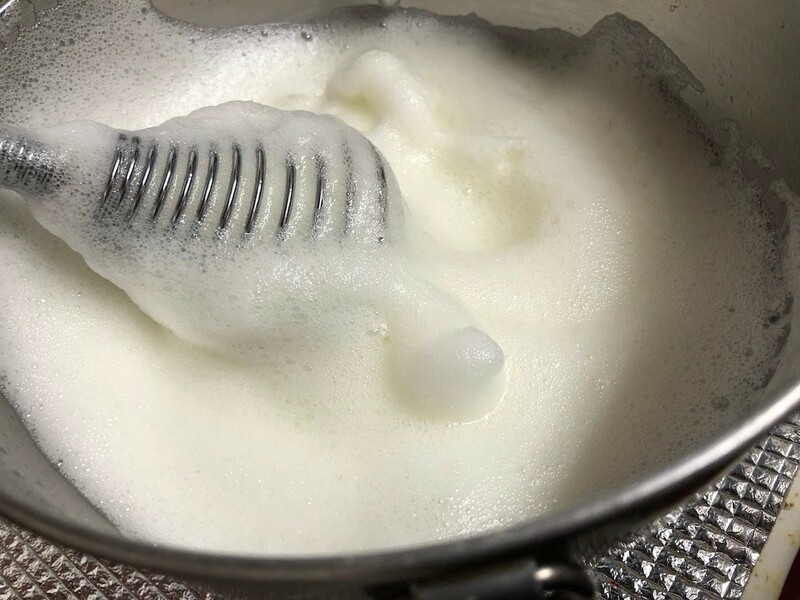 Beat egg whites with a whisk or beater until medium-stiff peaks form. 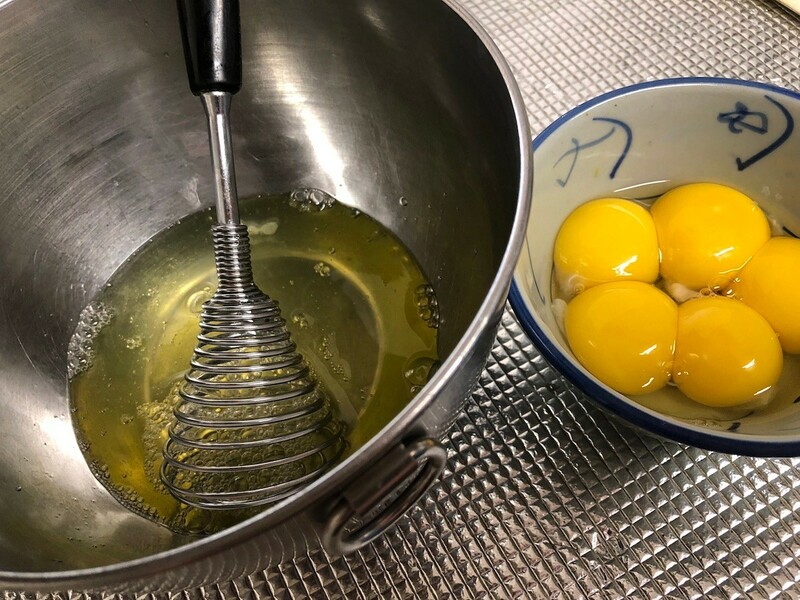 Beat the egg yolks and gently fold them into the egg whites. Grease a nonstick skillet and place over medium heat. Pour in the egg mixture. Cook for a couple minutes, shaking pan occasionally. 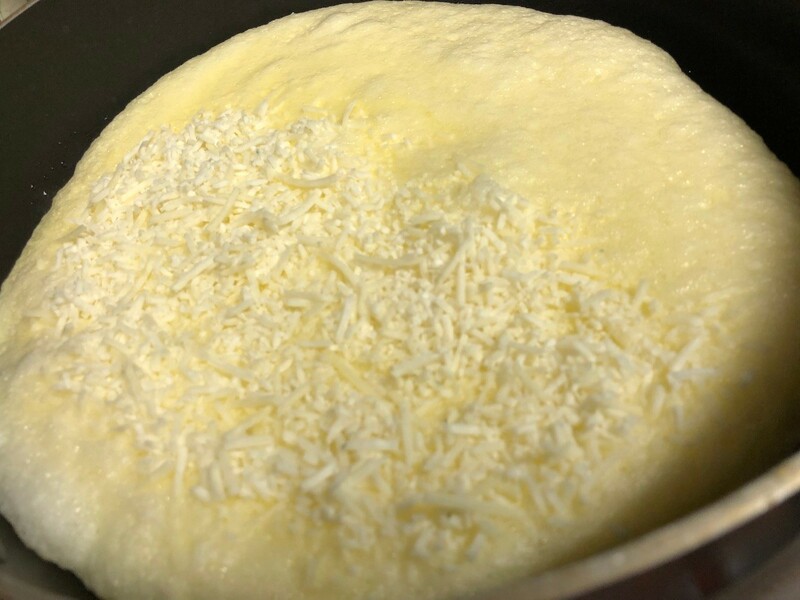 Sprinkle half the omelette with the cheese and cook another couple minutes until the bottom is golden. Fold one half of the omelette onto itself and cook another couple minutes. Slide it onto a serving plate. Heat leftover taco meat in microwave or on stove top. Beat 2 eggs in a bowl while preheating pan. Spray pan. Pour eggs in and proceed to make as an omelet. When you flip omelet, coat half with taco meat and shredded cheese, then flip other half over to close it. Turn. Place on plate. You may also add black olives if you like. Enjoy! Beat eggs in bowl adding about 1 tsp. cream. Gently fold in all ingredients. Pour into well-buttered omelet pan. 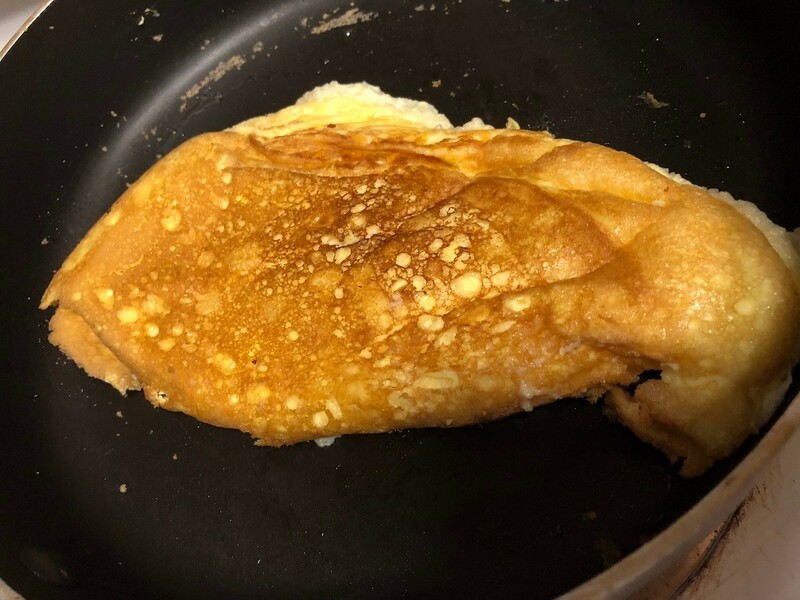 I've made this omelet since I was in my early 20's as a quick and tasty breakfast on 'feeling lazy' mornings. Back then I wasn't as much into gourmet as I was just in to having easy items already on hand. 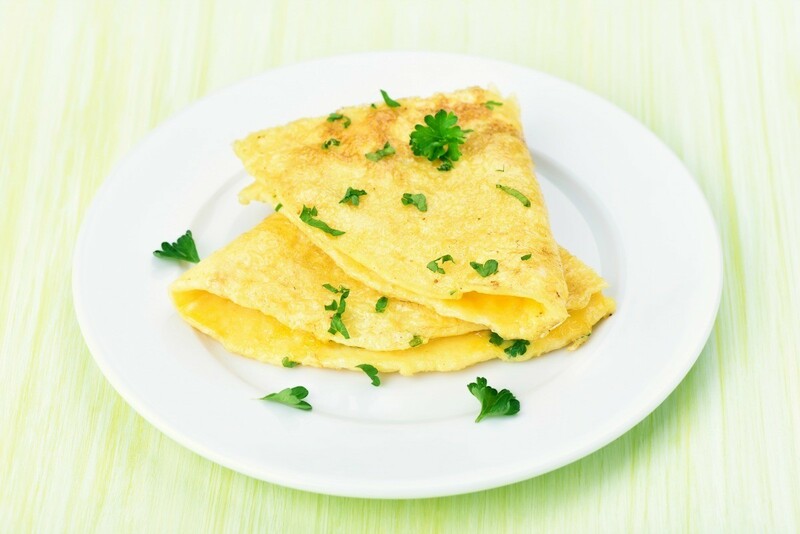 Try this omelet as a special main dish for breakfast, brunch or dinner. Hello Gentle Friends! 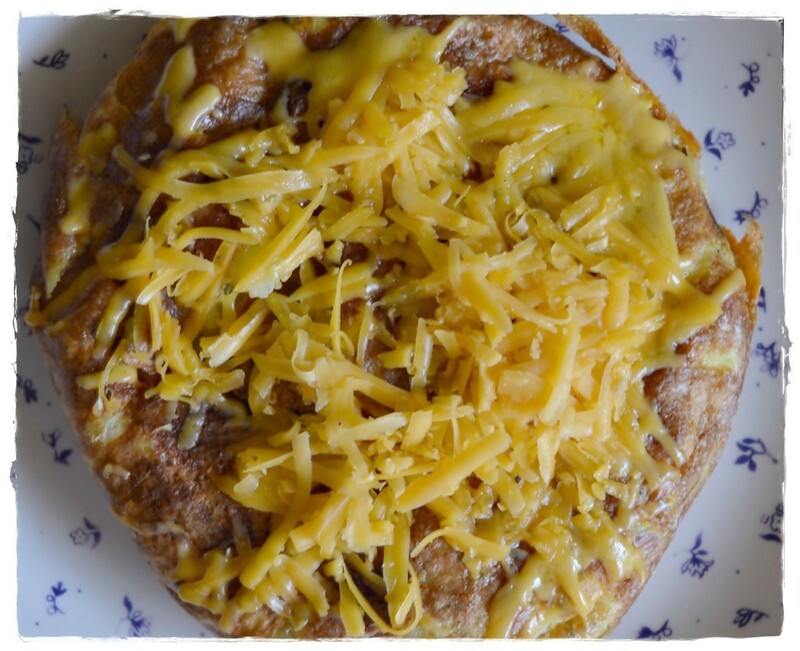 Here is my sweet New Year Omelette recipe for you to try and trust me, it is good! 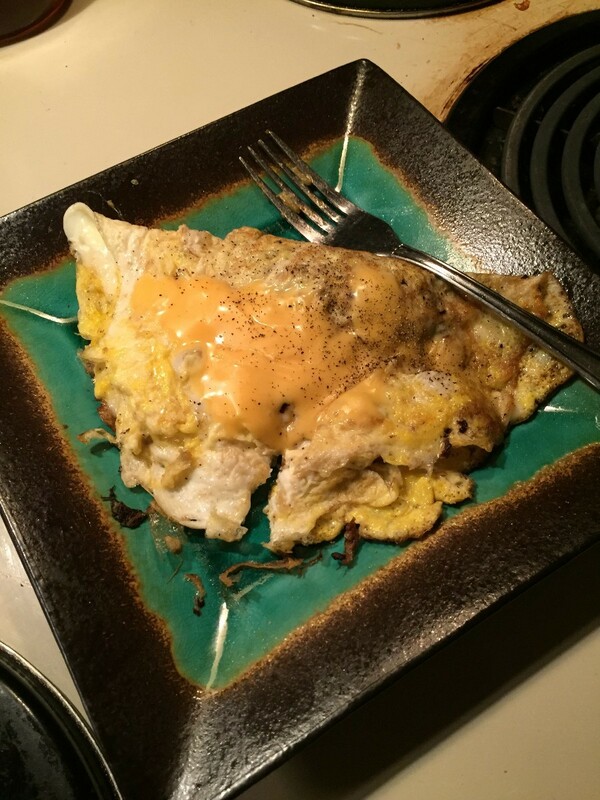 This is a great omelet to share with somebody. You can use whatever veggies, meat or cheeses you prefer, and adjust it to suit your taste. It is a great way to start any day. In a 10 inch non-stick skillet, melt 2 Tbsp. butter over medium heat. Add ham and potato; cook and stir until potato is lightly browned. 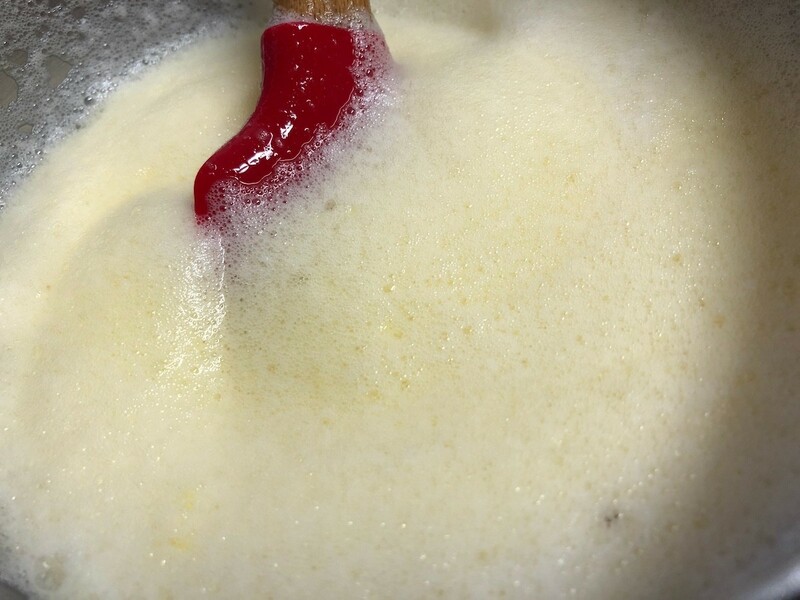 Stir in the cheese, milk, horseradish and bacon; cook until the cheese is melted. Enjoy your sautéed veggies on this omelette. I am looking for easy omelet recipes. You don't really need a recipe, start out like for a basic omelet, then add whatever meats, cheeses, veggies that you want to add to it, in whatever amounts you want. 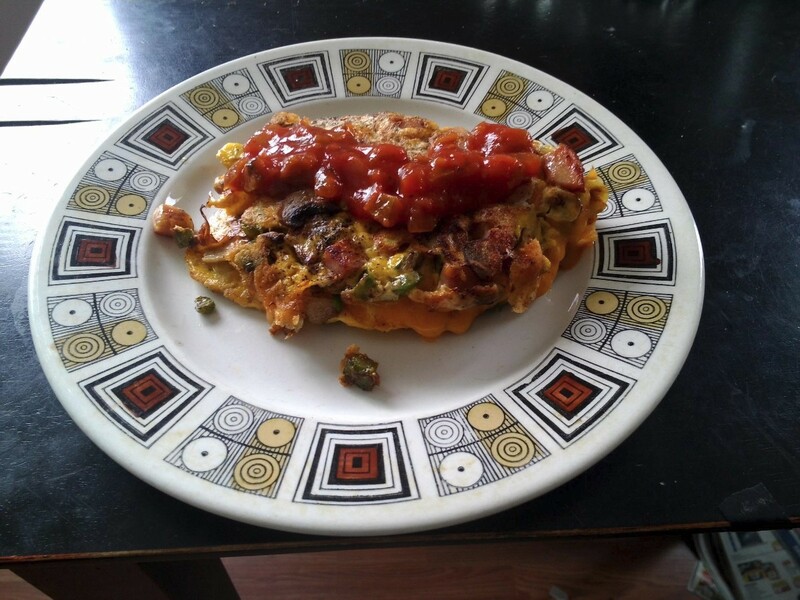 A month or so ago, there was a recipe for cooking an omelet in a freezer bag. That's the recipe I am looking for. The recipe in the freezer bag is dangerous, if you search it out you'll see what people are saying, the freezer bag wasn't meant for the microwave, and the plastics will leach into your eggs. Would you like an oven omelette recipe? It's crazy good, and very easy to make - especially for company. You can break it down into smaller portions. Some nice additions to omelettes, btw: halved cherry tomatoes, feta cheese, frozen spinach (thawed in a little warm water before adding dry a bit with paper towels to not make the eggs runny), finely chopped sun dried tomatoes or roasted red bell peppers, fajita chicken or beef left over from other meals. Ditto with Vaylmer. It's health dangerous to cook anything in plastic bags whether in the microwave or boiling water because of the chemicals used to make the bags. The anonymous first person to comment here is what I was going to say. One of my favorites is heating canned asparagus (in it's juice) in a small saucepan while preparing and cooking the eggs in the skillet. Place oodles of shredded cheddar on half of the almost cooked eggs, drain the asparagus well, top the cheese with the asparagus, fold the other side of the omelet over both ingredients and cook just enough longer for the cheese to be almost melted. My microwave cooks fantastic omelets. I dice onion and tomato and maybe a cheese brat to go with. Ham or turkey ham is good too. One can always include regular diced peppers and much else. Two large eggs by themselves are perfect after 90 seconds. But all microwave machines are different, check yours out. Way less time spent messing with a frypan and cooktop. We hermits rate simplicity really high. If you like toast it's a perfect pause while toast is toasting until eggs are done. How do I cook an omelet? Heat some oil in a frying pan (around a tablespoonful). Beat your eggs with salt & pepper to taste and add a few drops of cold water. Pour mixture into pan. While it is cooking, pull back the edges with a spatula and tip the pan slightly to let the uncooked egg get in contact with the heated oil. This prevents the omelette from being overcooked, yet ensuring the egg is cooked in the middle. Fold over the omelette which should now be nice and fluffy. If you wish to add filling, do so to one half as it is cooking. I agree with skinnyjinny except for instead of oil I would use butter or cooking spray and I add milk or cream instead of water to the egg mixture. Also, cook it on medium heat so it doesn't cook to quickly. A friend of mine is entering a body-building competition, and as a result, has egg-white omelettes for breakfast every day. He has been wanting ideas on how to make them more interesting. So if anyone has any good omelet recipes that he can adapt, please let me know. try adding vegetables like bell peppers and onions to it! Cheese is nice on them too. Top with cheese when almost done, and cover. ANY time I make eggs, omelette or scrambled, I add a few drops of my favorite hot sauce to the liquid before cooking. How much to add depends on how hot you like it. Also, almost any veggie or meat can be added to the omelette. The other day, we had lefter over shredded chicken and mushrooms. Yumm. Salsa and avocado are good additions as well. Can an omelet be baked in a toaster oven or does it always have to be fried? If it is baked - at what temp and for how long? Can it be done in my mom's toaster oven? 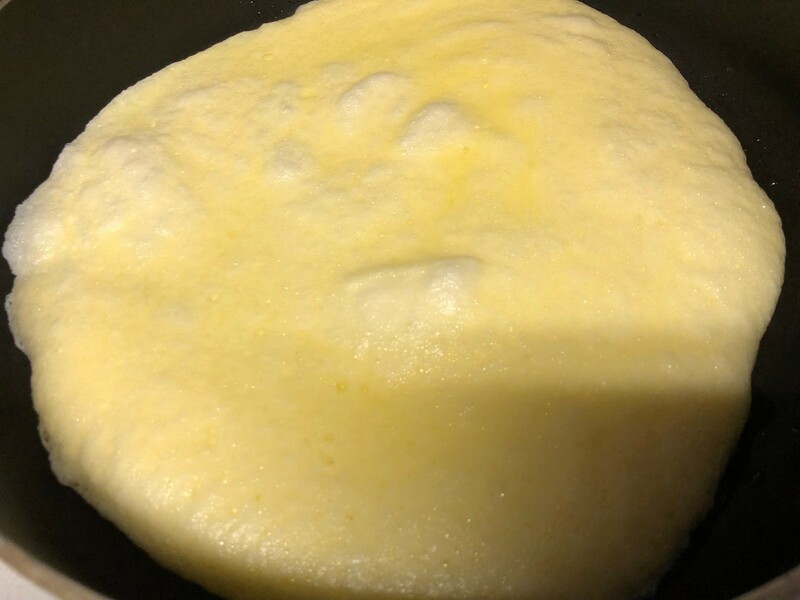 This is a guide about freezing omelet filling. 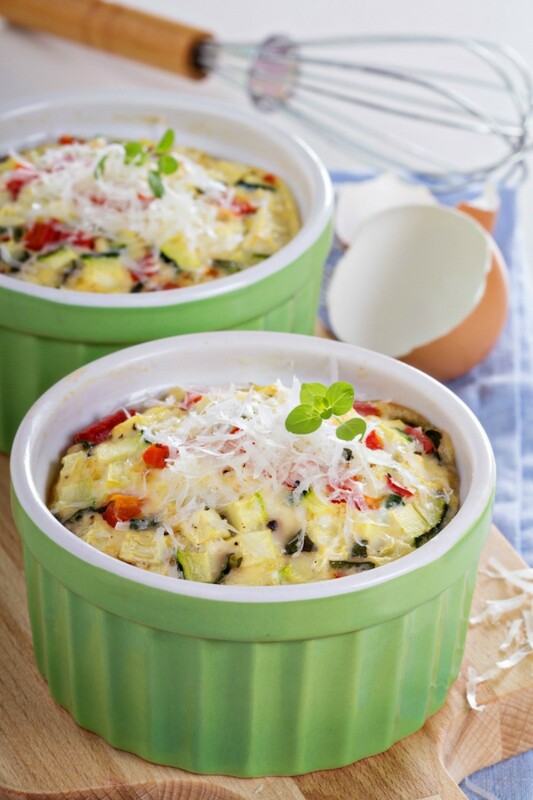 Here is a great way to make quick and easy omelets in the morning. This guide contains a recipe for not-so Spanish omelet. 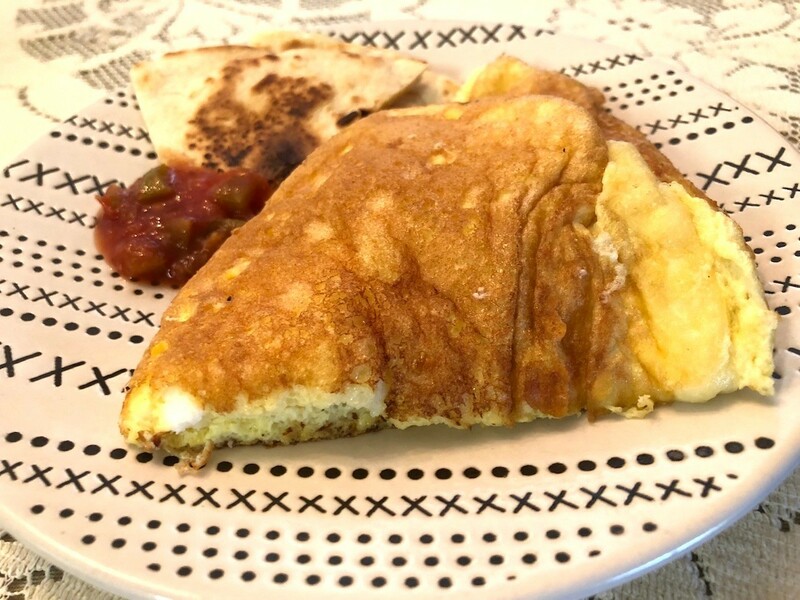 This omelet is a simple and delicious breakfast or brunch meal that everyone will enjoy. This page contains microwave omelette recipes. 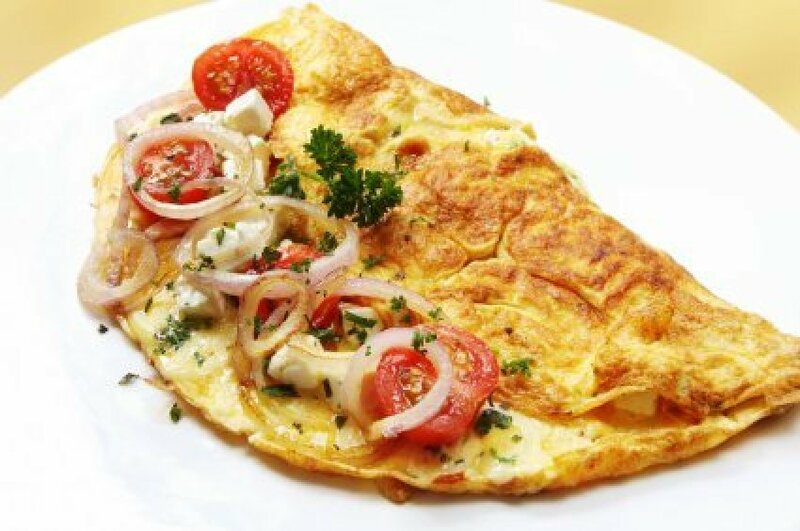 Omelettes are a simple an delicious breakfast option. Making your omelette in the microwave can be a fast way to whip up something yummy in the morning. This page contains baked omelette recipes. An alternative to making an omelette on your stovetop is to prepare one in the oven. 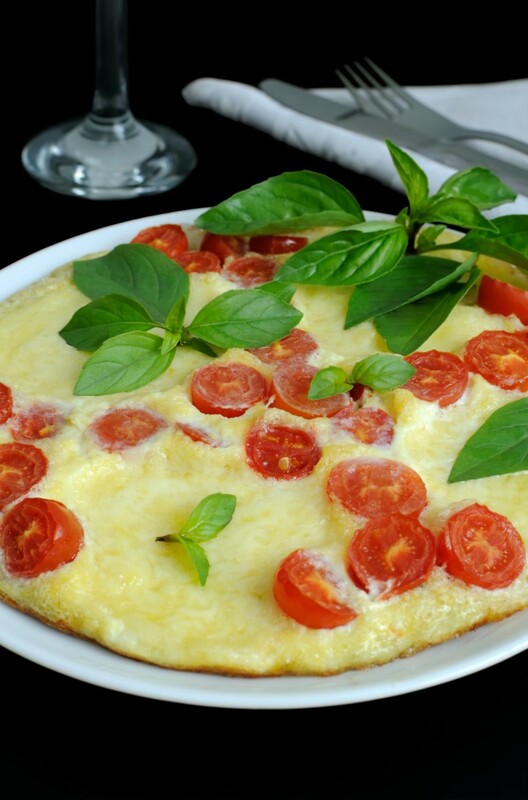 This page contains Caprese scrambled egg and omelet recipes. Tomato, basil, and mozzarella cheese combine to give this dish its distinctive flavor.